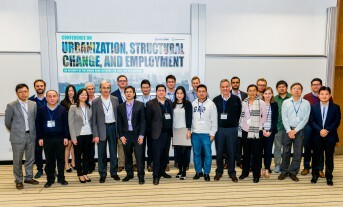 Conference on urbanization, structural change, and employment took place in Hong Kong on December 11-13 as a part of the Network on Jobs and Development activities. Economic growth in emerging and developing countries, including the middle income trap. The conference presented both micro- and macroeconomic contributions, and a special attention was paid to China. 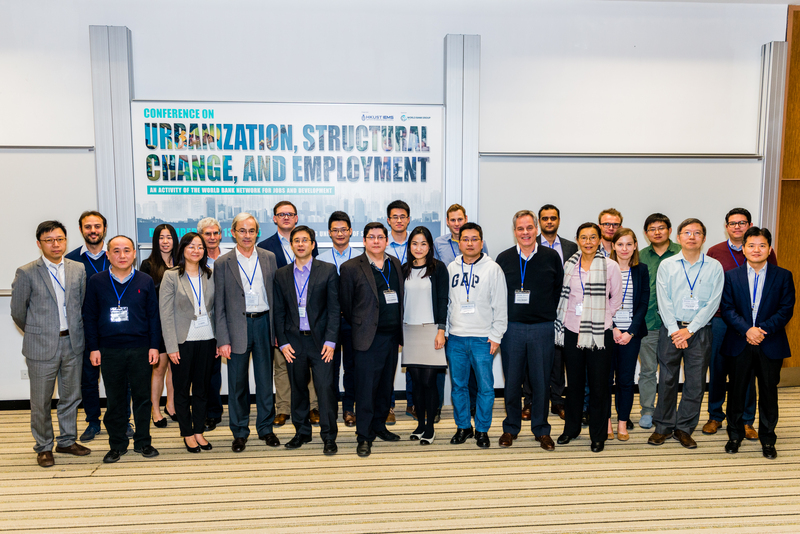 Speakers included Christopher Pissarides (LSE/HKUST IEMS), Rachel Ngai (LSE/HKUST IEMS), Gary Fields (Cornell University), Albert Park (HKUST IEMS), Xiaodong Zhu (University of Toronto), Xin Meng (Australian National University), Loren Brandt (University of Toronto), Roberto Samaniego (George Washington University), Jiaoxiong Yao (John Hopkins University), Sebastian Monroy (World Bank), Alessio Moro (University of Cagliari), Timo Boppart (Institute for International Economic Studies, Stockholm), and others. Piotr Lewandowski presented a forthcoming IBS Working Paper "The evolution of task content of jobs in Central Eastern Europe" (with Wojciech Hardy and Roma Keister), and discussed the forthcoming World Development Report 2016 presented by Sebastian Monroy (World Bank). Both presentations are available below.